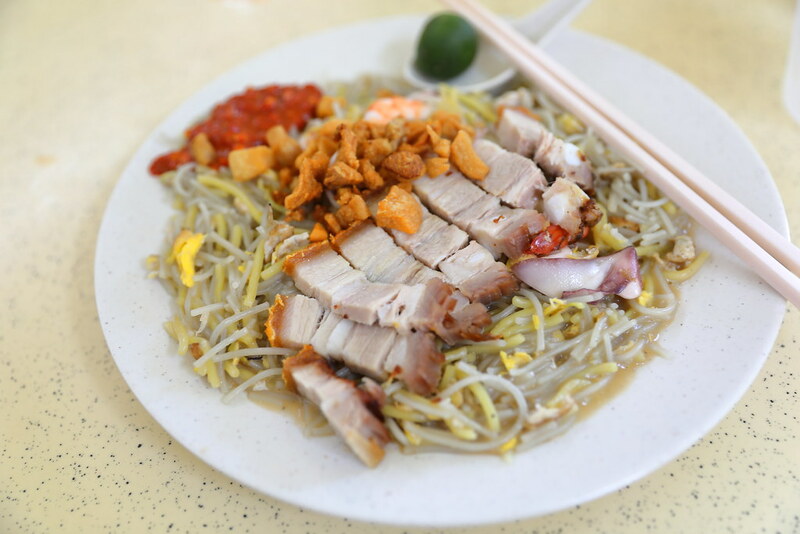 After writing about Fried Baby Squid Prawn Mee at Bukit Batok Street 11, I was told that there was another Hokkien Mee stall located at the other coffeeshop around the back of the same block. Hence I made my way down to Bukit Batok Street 11 on a Saturday to check out for myself. 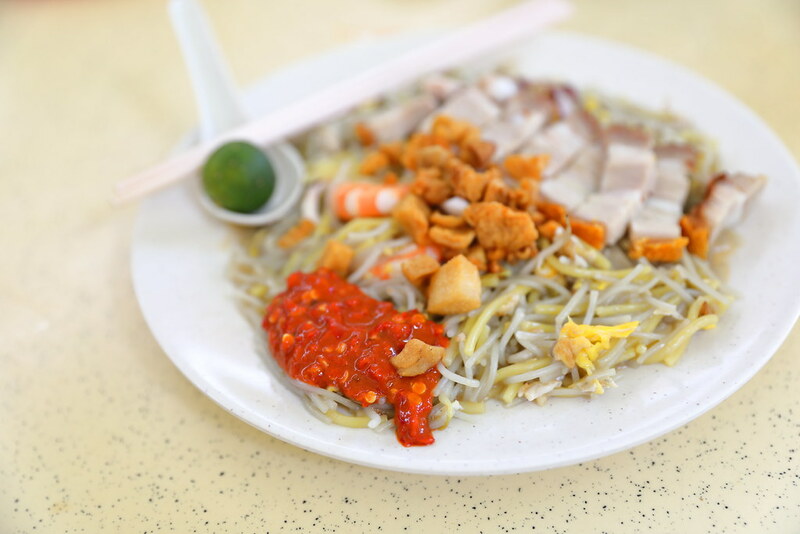 The version of hokkien mee at Soon Kee is the wet version. Compared to Fried Baby Squid Prawn Mee, I preferred the texture of the noodles here more. It is not as gooey with the noodles retaining a good bite to it. Unfortunately things went downhill from here. The prawn stock to cook the noodles was not robust enough and the noodles failed to absorb the flavour of the stock. It also lacked the wok hei. On top of that, I dislike the chilli sauce, it did not go well with the noodles at all. Overall I think it was a decent plate of fried hokkien mee but not one of the best I have eaten. 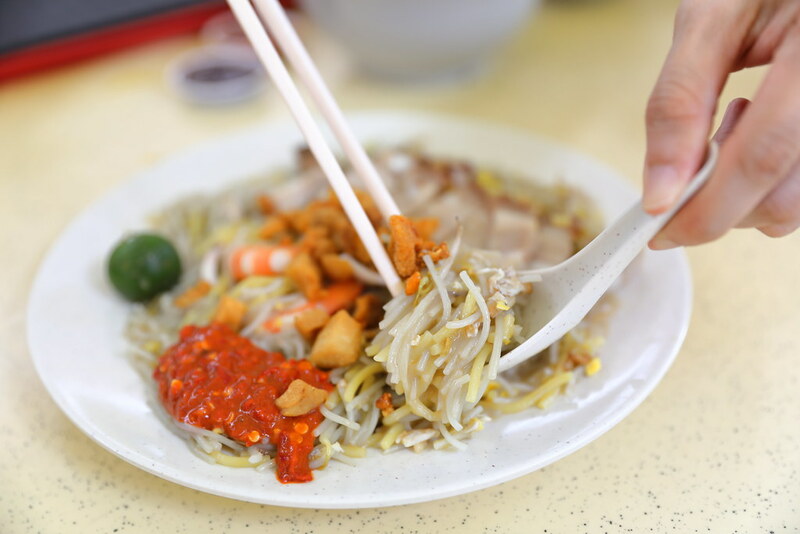 I do like the idea of having sio bak together with the hokkien mee if only if the noodle itself can match up to it.